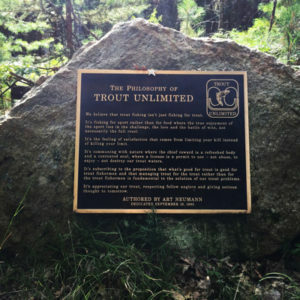 As a TU member, you probably know the birthplace of the organization was on the banks of the Au Sable River. Thanks to a recent segment on Michigan Public Radio, even more people know the background. It’s worth giving the 11-minute segment a listen. You’ll hear from TU CEO Chris Wood and Michigan History’s Center Mark Harvey. Of great interest is an upcoming exhibit featuring even more TU history at the Michigan History Center. For another interesting part of the founding, check out the original letter that started TU.